" Business Today with Shehan Bartholomeuz "
Lanka Orix Leasing Company (LOLC) has emerged as the most profitable listed corporate, dethroning premier blue chip JKH. As confirmed by interim results released yesterday, the LOLC Group’s post-tax profit in the 2016/17 financial year was a mammoth Rs. 21 billion, as against that of JKH, which last week reported a figure of Rs. 18.1 billion. The insurance industry in Sri Lanka is still at early stage of the lifecycle despite the growth momentum in recent times. Despite low penetration, total insurance premium income over the last five years has witnessed higher growth relative to GDP growth of the country with total industry assets growing at a 14% CAGR annually. Daily Ft: LOLC International Ltd., a wholly-owned subsidiary of Lanka ORIX Leasing Company (LOLC), and The Bank of East Asia (BEA), have acquired a majority interest in PRASAC Microfinance Institution Ltd.
Daily Ft: The LOLC Group on Friday inked a historic joint venture with Pak Oman Microfinance Bank Ltd., to introduce LOLC’s exceptional and globally accepted Microfinance model to the people of Pakistan. 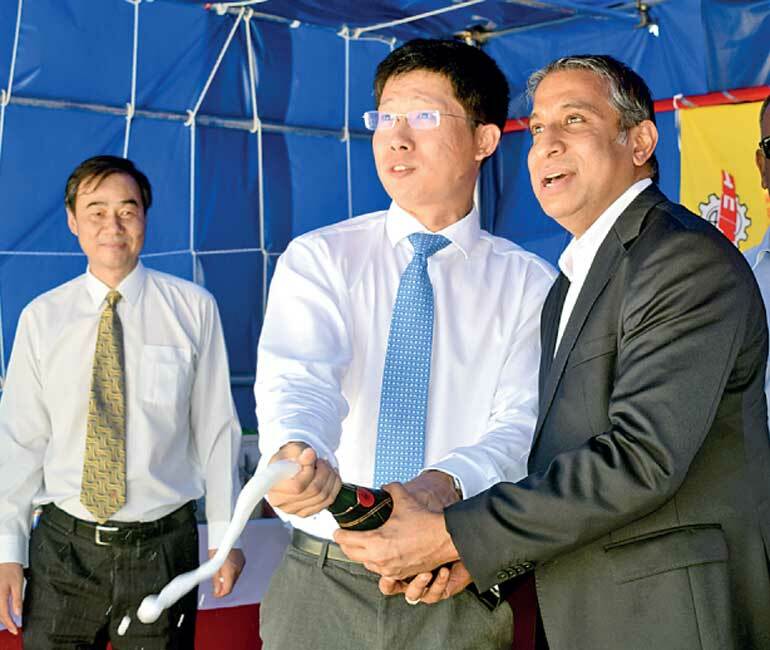 LOLC Group marked its first overseas leisure venture in the Maldives and also broke new ground in Sri Lanka-China relations last week, announcing its North Malé Resort Development project in partnership with State-owned China Machinery Engineering Corporation (CMEC). Daily Ft: The CFA Society of Sri Lanka believes engraving the value of ethical conduct among capital market participants would be critical to garner confidence of the international financial industry, which would ultimately determine the country’s position in the ever-competitive global financial landscape. Sri Lanka’s per capita health spend is relatively low compared to the average per capita health spend of upper-middle-income countries albeit the country maintains better health indicators in the region. In the two-tier health system, Sri Lankan public sector provides free medication while the private sector services more affordable patients. LOLC Group is the largest Non-Banking Financial Conglomerate in Sri Lanka. It is listed in Colombo Stock Exchange and its market capitalization amounts to USD 250million.Group’s total asset base amounts to USD 2.2 billion. LOLC Securities is a trading member of Colombo Stock Exchange, facilitating transactions in listed securities. It is a leading stock broking and sell side research firm in Sri Lanka.